In a village there lived a wise minister who solved the problems of the people. Every day the people would come to him with their problems and he would tell them how to solve them. Now he realized, that most people come to him with the same problem over and over again. So he wanted to make them understand. When he told the joke for the third time no one laughed anymore. The wise man smiled and said: You can’t laugh at the same joke over and over. So why do you always complain about the same problem! I have yet to hear of a baby who comes into this world laughing. From the time we come out of the womb all the way to the tomb it is a story of constant whining. Take a teenager on a date – he complains because he wants the perfect girl – must be 36 – 24 – 36, long hair, fair, not too tall – not too short — to him it is like ordering a pizza – thin crust, extra cheese, Hawaiian. For married men or women complaining is a daily chore.. As soon as you wake up in the morning you say the water is too cold or there is no more toothpaste. At lunchtime the husband complains to his wife –“. It’s the same old food”. The father complains to the child: “Why don’t you do your homework without watching TV all day”, And the child complains that with the load of homework every day – he will turn into a zombie someday.
. Picture this scenario – If we were told when young… there is only roti prata at home and you must have it. There is no choice and if you are hungry you will eat it. But Singapore is a foodies paradise – you want plain prata, murtabak, or icecream prata – you want Adam road nasi lemak or katong laksa, chicken rice or mee goreng. Now that is a problem.. so we complain! What to eat! Take P1 admissions – To get their children into the best school parents buy a home near the school and do volunteering jobs in the school and they still compare with other children and complain. Singapore is shielded from floods, tsunamis, hurricanes and earthquakes. So when there is a small disturbance like a haze we get over reactive and run to the pharmacy to get the best mask. If they build a workers dormitory near your home –complain. If your maid takes an extra day off complain and if the rubbish dump is close to your home complain. Take public transport – we complain that we are stacked like sardines.. and some even complain they have to sit near poor people . We are blessed with good health, friends, family, and we can have 3 meals a day. We can enjoy a movie, sip a coffee at Starbucks and occasionally go on a getaway to a neighbouring country. So why are we still complaining? Photographers, artists, poets: show us NUMBERS. 26th January is celebrated as Republic day in India – the day when India’s constitution came into existence in 1950. This day evokes strong memories for me. 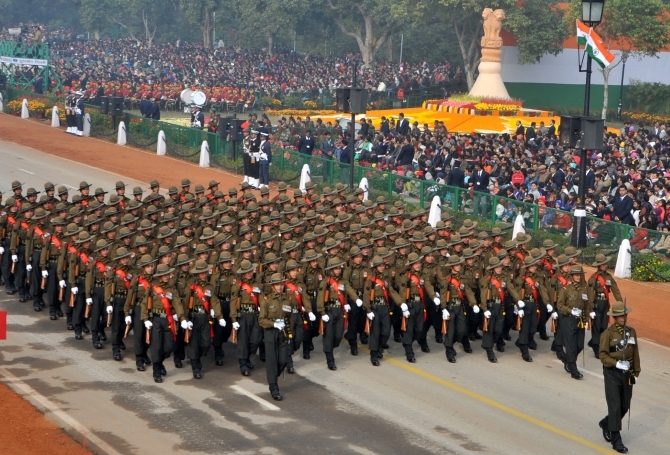 I loved to watch the republic day parades, floats and displays of air crafts, battle tanks and missiles. The air show by the Indian Air force is the main attraction. The march past by the army, airforce, police, border security is majestic to watch and the shows by school children adds colour and splendour to the show. Mirror, mirror on the wall – who is the fairest of them all? The obsession for beauty and good looks goes all the way to fairy tales of Snow White & Cinderella. We are looking for a reflection, a confirmation from someone that we look good. This gives us that much-required ego boost to make us feel wanted, to give us a fan-following. The cosmetic industry thrives on this fad. Cosmetics, perfumes and surgery can change the shape and features to make you look like a barbie doll or a model. Actors, models and Miss World pageants are all responsible for all the glitz and glamour of this industry. But the sad fact is that it is not cosmetic surgery that the people of today need but an inner surgery – a reflection into our behaviour, our attitude and our values in life. Our character, our values and beliefs and our actions are in essence the beautythat should shine forth. They project our charisma, a rare beauty, a gem that needs no polishing. When our heart is pure then we do not need a mirror to see any reflection. Our face, our gestures, our words and our actions will be synchronised with our thoughts and the world will see an integrated personality of true beauty! Photographers, artists, poets: show us the FUTURE. I asked my mother, “What will I be? I asked my sweetheart, “What lies ahead? The trader, the workers, the driver ,the mother? Photographers, artists, poets: show us ONE. I would love my blog to have a wider audience and this has been my focus all along. So I have been trying to post as regularly as possible. I also try to visit other blogs, like and comment on interesting posts. I would like my readers to not only read but comment on my posts and offer valuable feedback to motivate me to keep posting. Let us all connect to have an enriching experience! One annoying habit that I dislike is people eating crackers or other fried stuff in a cinema hall next to me when I am enjoying a movie. This really annoys me but so far I haven’t told them off. As far as my quirks are concerned I have many but they are not habits as I do them only at home. One of them is that I tend to buy/keep things that I do not actually need. I am trying my best to get over this one. Photographers, artists, poets: show us a HERO. and songs like ‘Jindagi Kaisi Hai Paheli Hai”, “Kahi Door Jab Din Dal Jaye” etc are evergreen even today. 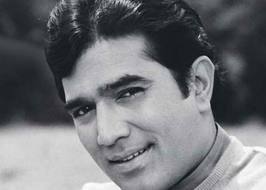 Even though Rajesh Khanna passed away in 2012, he has numerous fans who will remember him for the great performances. He is regarded as one of the greatest and most influential actors that Bollywood cinema has produced. Photographers, artists, poets: show us STYLE. home I prefer bermudas and a t-shirt. Communication style: I feel that the important thing is to make oneself understood. So I like to speak slowly, articulate my words and check with the listener on whether I have made my conversation clear. Hair style: My hair is all combed backwards and it is easy to maintain this way. Eating style: I am conscious of what I eat as it effects how I feel during the day. I prefer light, vegetarian food. I sometimes tend to eat at a fast pace and I am trying to take my time and enjoy my food. . Relaxing style: When I am on holiday I try to forget all about work and enjoy to the best. Life style: I prefer a life of simplicity. I like to travel light. I have realised that there are many things we buy which we find we no longer need after some time. So I am thankful to God for blessing me with all that I need and more. Work style: At work I am focussed and sincere. I also love to work in a team and as a leader I love to empower my team to excel.